As you already know, SUP is one of the fastest growing water sports today. And perhaps that is why California’s Justin Van Dyck thought of an innovative way to incorporate team sports and fun into one activity: SUP. 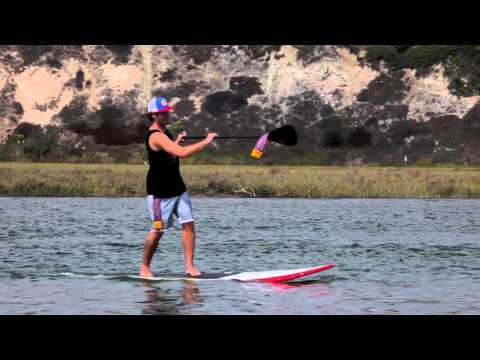 Together with the guys at X Stand up Paddleboard Co., he created XSUP SAC. The newly born XSUP SAC blends the fun of individual sports and paddling with the thrill of team based sports. It’s like playing hockey on water. XSUP is a challenging and fun team sport that blends competition, strategy, passing, shooting and scoring into one discipline. The XSUP Games SoCal league is now forming on Active.com and all of you can join. The regular season will be eight games, plus playoffs and each team should have a minimum of six players (2 reserves). Each game will have two 20 minutes halves. The spring season starts on the 16th of March.